Facebook ads can yield big results and can often be more effective than other paid online media placements, like banner ads or other pay-per-click mediums. But, To achieve good results, Facebook ads must be done correctly. Running an ad campaign is definitely not a spectator sport. In order to achieve maximum success with your ads, you need to have a plan and follow through with it. 1. Have a goal. You need to know what you want to get out of your Facebook ads. Start off by getting very clear about what you hope to achieve, as this will determine tactics such as the type of ad you create, including image and copy; the landing page, and how long it will run. 2. Give it eye-appeal. Never run an ad without a photo. When choosing an image for your ad, select colors that contrast with Facebook colors. 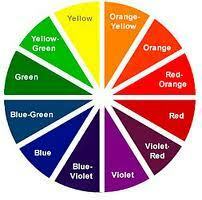 Blues tend to get lost because they blend with Facebook, while reds, oranges and yellows attract attention. Faces and quirky pictures are also attention-grabbing. For instance, to promote a family vacation, you might use a funny picture of a kid doing something on the beach, rather than just a pretty beach photo. 4. Be clear about your call to action. Always make your call to action very clear. If you want people to book, say, “Book now.” If you want people to “like” your page, say that. 5. Definitely go for the “like.” The like call to action is most successful, because people are used to seeing the like button all over the Internet. “The less involved the consumer needs to be in the commitment, the easier it is for them to commit,” Experts say. 6. Start with more than one. When Experts start a Facebook ad campaign, she always creates at least five different ads. As she sees which ads are generating the most click-throughs, she pulls the others. A single campaign with multiple ads is no more expensive than a single-ad campaign. “You can create as many ads for a campaign as you want,” Experts say. 8. Tweak one thing at a time. Don’t panic and change everything if you’re not getting the results you want right away. Instead tweak one thing at a time so you can determine which pieces are working and which are not. 10. Link to a Facebook page. There tends to be a higher conversion rate for ads that point to a page that resides on Facebook. So if you want to promote an event or sales offer, create a Facebook page dedicated to that event or promotion.